Compost. It brings health and diversity to your soil, holds moisture in at a greater rate, diverts needless landfill and is something I’m finding, you can get quite geeky about. If someone had told me fifteen years ago that I would be enjoying shovelling compost as much as I do now…well, I suspect I would have been a little surprised. Not just some light hearted shovelling mind you. I mean really getting in there, until there’s sweat pooling in your eyes, the steamy smell of compost has permeated your clothes and your arms are almost dead from the weight of that pitch fork. While I’m not an expert in compost, I am an enthusiast. An enthusiast with aspirations of being an utter, compost geek. With aspirations like that I’d like to talk further of how satisfying it is when that compost, gets hot! You know it’s going to be a good day when your face gets hit by a cloud of compost steam. 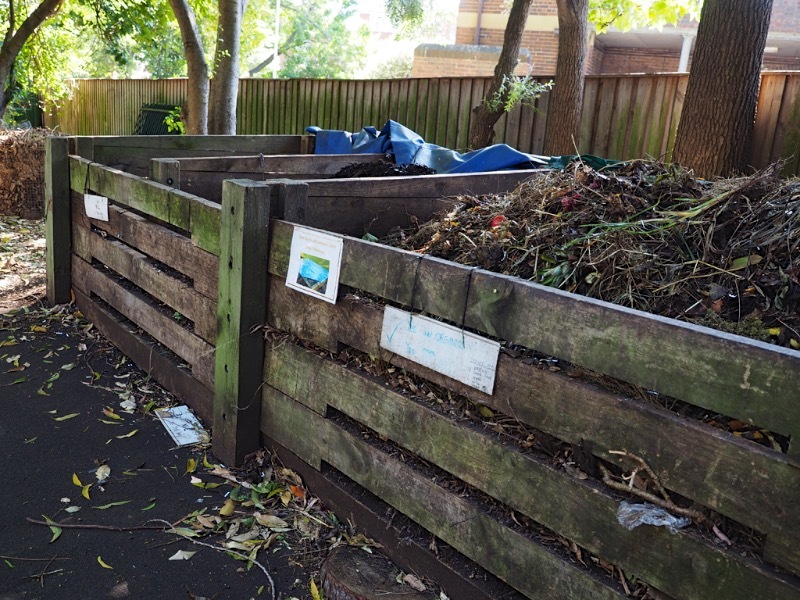 Now, how I came to be shovelling several tonnes of compost when we lived in a small city apartment with no backyard comes down to being a part of a wonderful local primary school. Over time talk turned to compost and while the compost bays were there, they needed a little extra love and attention. My hand goes up, and truth be told I like a challenge. Anyway you looked at the outcomes, it was a win. People got to put their kitchen scraps somewhere other than a garbage bin, I got a challenge (and a work out!) and the school got some excellent compost for their many gardens. Moving cities recently, meant a different compost system was now to be used. With a standard black 220L bin now gracing the backyard, it was almost a whole different ball game. After developing a process that worked for the large 3 bay system at school, scaling it down, to a couple of much smaller bins was a bit of learning curve. * First up, work out a system that’s going to work in your context. 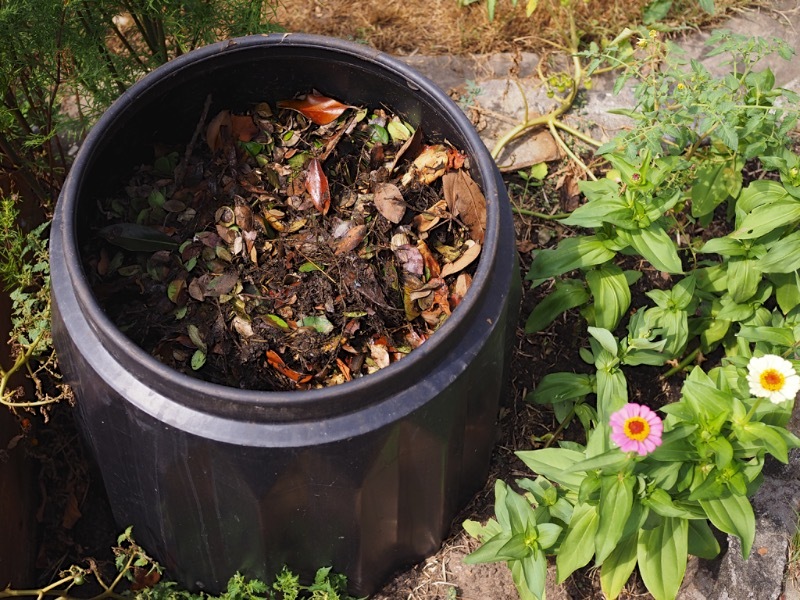 Whether it’s a community compost in a densely urban area, a bokashi bucket, a three bay system, hot or cold, worms or no worms. Whatever your method, it needs to be accessible and practical to your day to day living. * For compost to work you need diversity. With that diversity, comes bacteria and microorganisms, which will break it all down. Too much of the one thing and it simply doesn’t work or works at a far slower pace. To get that diversity, sometimes you might have to go a little further than your immediate day to day. Most people I’ve found to be pretty enthusiastic with giving away their waste. 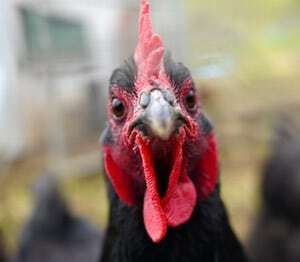 Whether it is lawn clippings, coffee grounds from cafes, chicken manure, fruit and vegetable scraps, dried leaves etc. 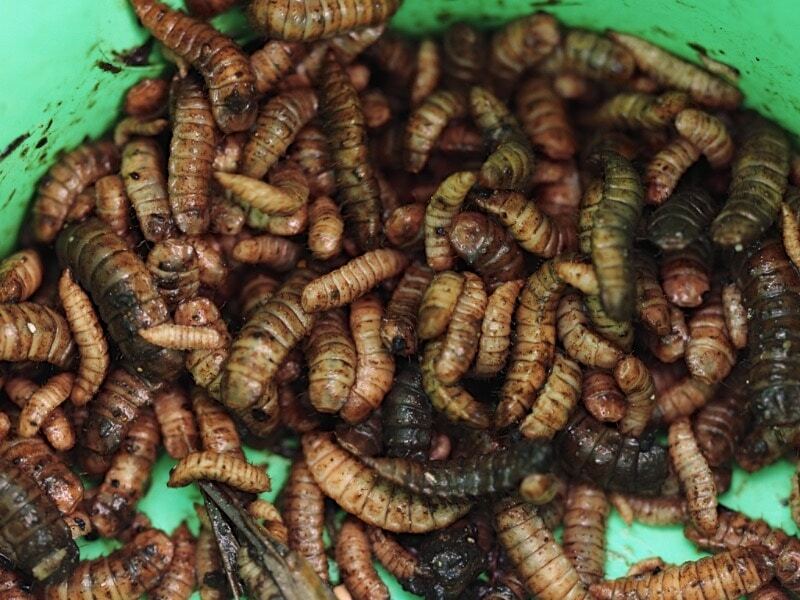 * Soldier Fly Larvae are a wonderful addition to your compost pile. These little segmented critters are excellent at breaking things down and aiding the whole nutrient cycle. They don’t mind it humid and hot, being quite comfy between 27C- 40C. Anything warmer than that and you’ll probably just find them round the edges of your compost doing their thing. Compost can be reduced from 50-70% just by them getting that volume down, aerating it, and then generating heat in doing so. They also get the compost ready for the worms to move in, pre-chewing it for them basically! 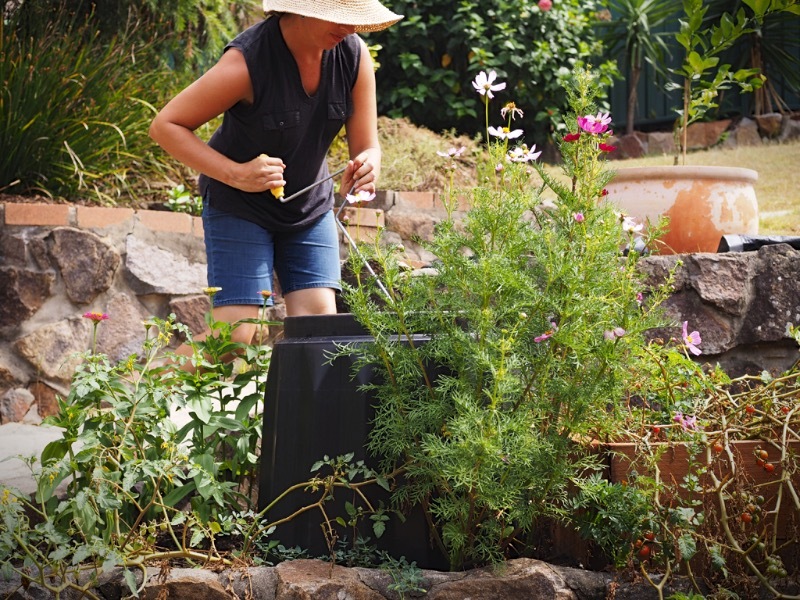 * Want to try something different for your compost? Look into planting a banana circle. 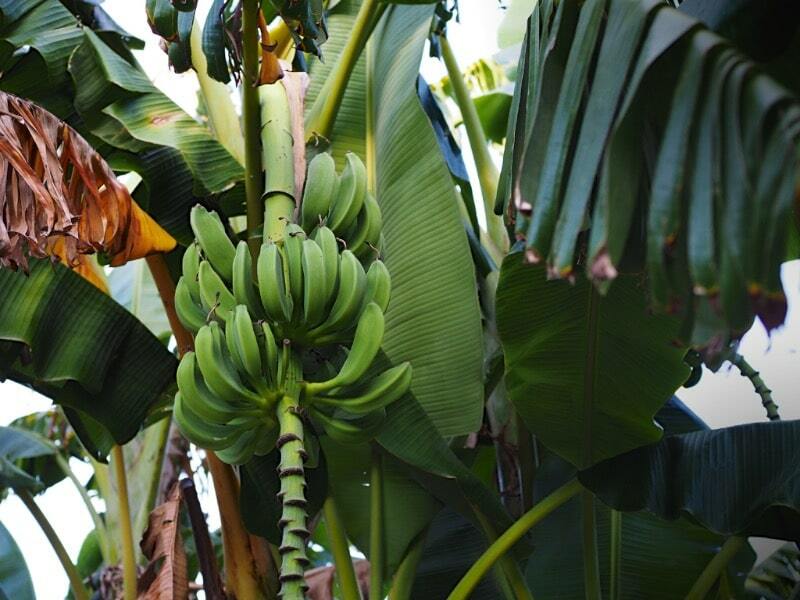 Compost goes in the middle, bananas grow on the out! Brydie's new home system - smaller, but effective. 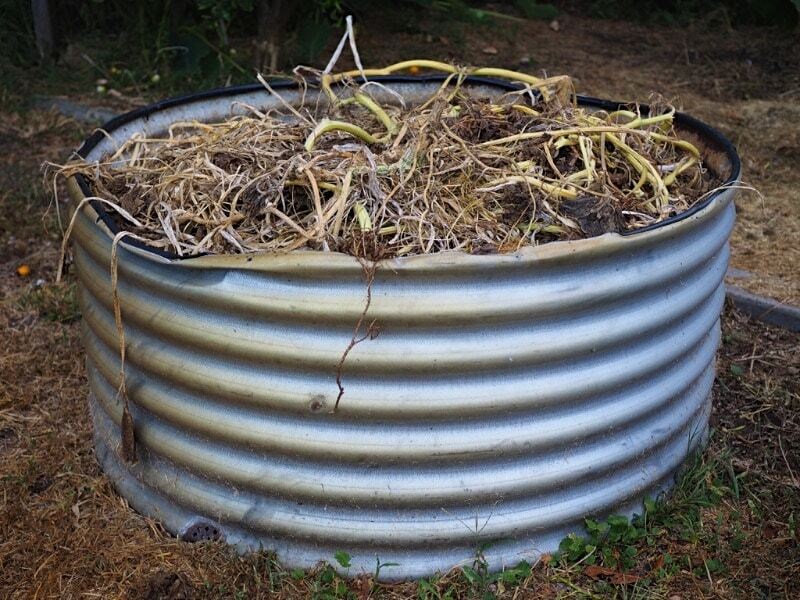 Whatever method you choose to create your compost, the whole process is all rather important. It can be diverting landfill, creating community connections, gaining hands on knowledge for what works and what doesn’t work in your context. And ultimately? You are helping create a kick arse soil structure for your gardens and that, is what it’s all about. 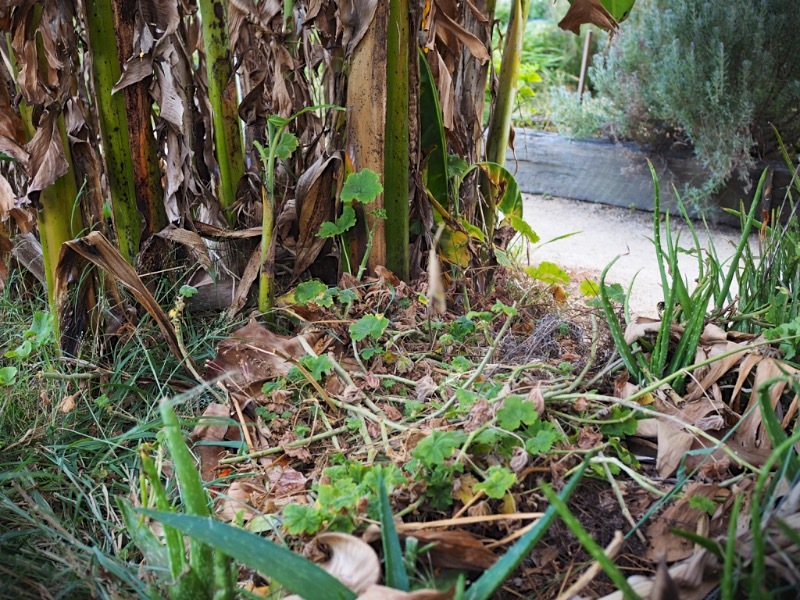 Our Serious Backyard Veggies course will give you a great head start into composting if you aren’t sure where to begin. 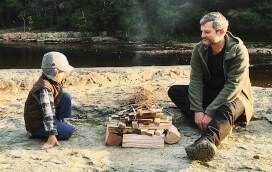 Our friend Brydie Piaf is a photographer, home baker, maker, writer, wrangler of small people and brand-new Novocastrian. Alrighty. In this next 107 Rooftop Garden day we're tackling nutr . . 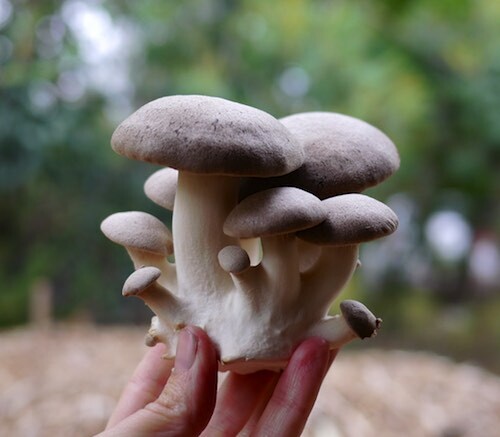 So you want to create a permaculture design for your home, farm, . .
Ruby it depends on the type of system you’re using. Any and all organic materials are fine to add if you’re going to cover each load and maintain it all regularly, but if you have rodent problems in your compost, things like meat might be good to avoid. Milk can attract maggots but if it’s turned in and covered over, it’s not a prob.